Canvas Giclees, Giclee prints and standard prints available for purchase. "Friends see the same truth, they share it. That is true for artists too. Without a doubt, the legacy of Charles M. Russell (1864-1926) is not only his paintings, sculptures, and writing, but also in the impact he had on fellow and future artists. There is no artist living today that Russell would call more of a friend than Len Larry Babb. In many ways, Len is today's Russell, not only because of his art but because of his humanity. That smile, that warmth, that transparency, and that love for the American West makes Babb one of the true sons of Charlie Russell. I am proud to own one of Len's buffalo hunts. 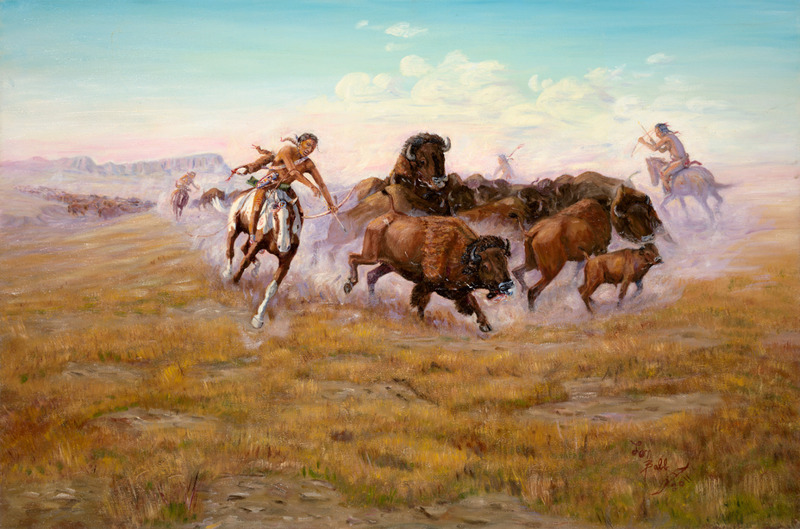 Almost all Western artists at sometime in their career attempt to capture the thrill and dangers of this subject. 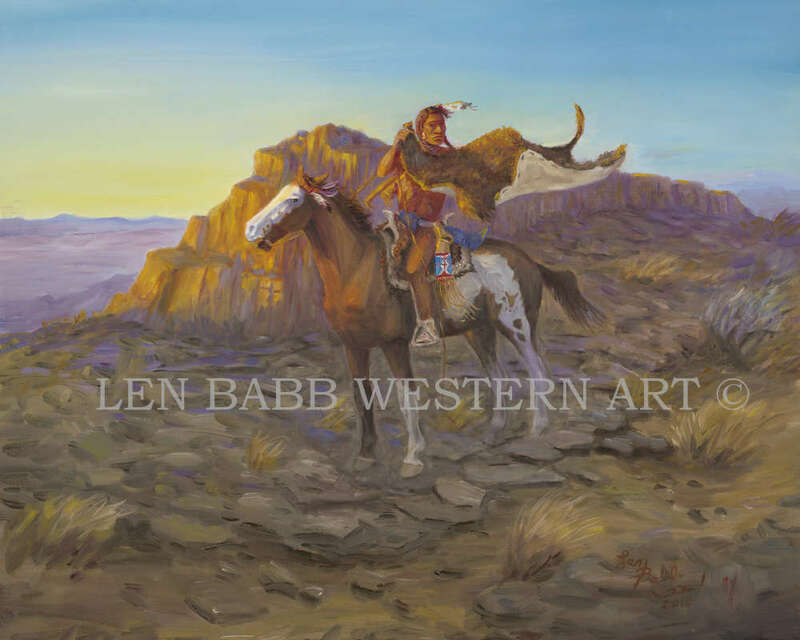 Len's ability to paint arrested motion and then add the accurate colors to the Western landscape is truly exceptional. Without a doubt, visitors to Lens shows are in for an educational treat where they can experience the American West when the land belonged to God. Len is a Western master." Recipient of "True West Magazine's" 2018 Best Author and Best Non-Fiction Book of the Year for "American Trinity: Jefferson, Custer, and the Spirit of the West." 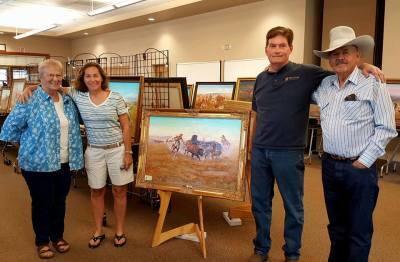 Standing alongside their new Len Babb original oil, "Buffalo Hunt", Larry Len Peterson and his wife LeAnne with artist Len Babb and his wife Gloria.